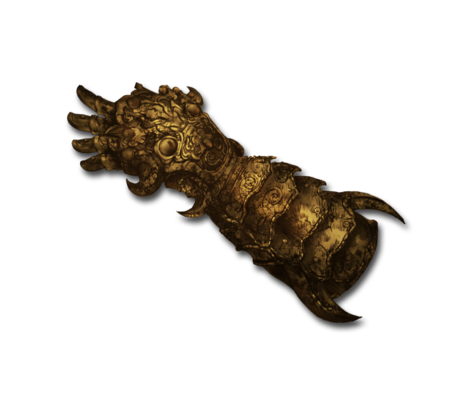 Purified in the most fertile of fields, these gauntlets contain a blessed spirit. Their barren spirit was rejuvenated by the earth as their new form took shape. They shine with the golden glow of ripened wheat, lighting the way forward for those who grasp them.